Five Finger Death Punch News: Zoltan Bathory: "Ivan is our brother and we support him"
Zoltan Bathory: "Ivan is our brother and we support him"
Ivan Moody was replaced by Phil Labonte to finish the tour of the band. 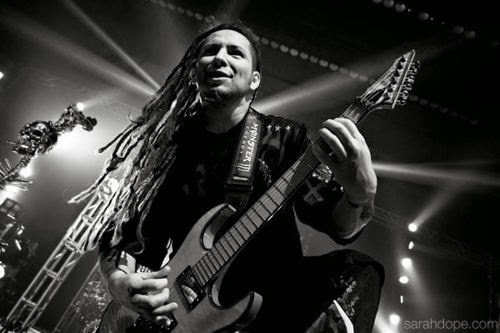 Zoltan Bathory, in a statement, said: "Ivan is our brother and we fully and wholeheartedly support him taking care of himself so he can get well as soon as possible. We discussed possibly canceling the remaining shows but the responses from the other bands on the tour were so overwhelmingly supportive that we decided to move forward and deliver the great night to the fans that they expect."